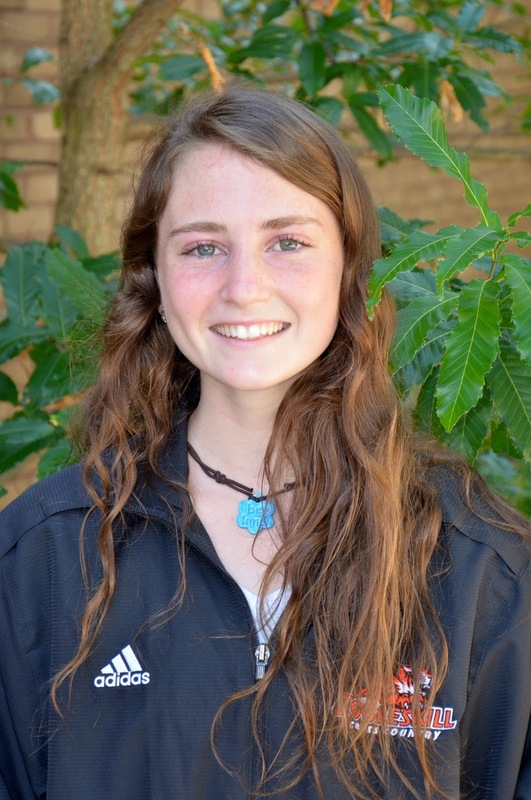 The North Eastern Athletic Conference (NEAC) announced today that SUNY Cobleskill women’s cross country team member; freshman Emma Bayuk, Sandy Hook, Conn., Newtown High School, has been honored as both the conference’s 2016 Women’s Cross Country Runner-of-the-Year and Rookie-of-the-Year by the league’s coaches. The Fighting Tiger newcomer won the conference’s individual championship at the 2016 NEAC Cross Country Championships hosted by Lancaster Bible College in Lancaster, Pa, on Saturday October 29th. She becomes the first Fighting Tiger runner to ever be honored with both awards in a single season and the fourth consecutive Cobleskill runner to be named the conference’s Women’s Rookie-of-the-Year. She joined her current teammates: Senior Taylor Tommell, Guilderland, N.Y., Guilderland High School, (2013), junior AnnaClaire Piersiak, Staten Island, N.Y., Curtis High School, (2014), and sophomore Quinn Porter, Ballston Spa, N.Y., Burnt Hills-Ballston Lake High School, (2015), as rookie-of-the-year honorees. The Newtown High School alumnus helped lead the Fighting Tigers to the program’s record setting eighth consecutive NEAC Women’s Championship by defeating the 92-runner field by covering the 6000-meter course in a time of 23:21.22. 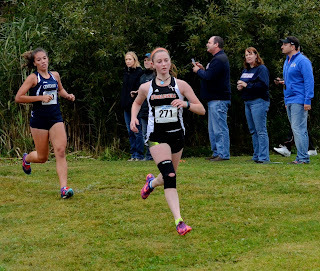 With her victory the Sandy Hook, Conn. native becomes the second consecutive Cobleskill women’s runner to capture the NEAC Individual Championship and the program’s sixth conference champion. Led by her effort the Fighting Tigers posted a score of 25 points to win the team title by 74 points over their nearest rival at the meet. During the regular season the talented first-year performer was named the NEAC Women’s Cross Country Athlete-of-the-Week three times and the both the Eastern Conference Athletic Conference’s (ECAC) Division III North Division Women’s Runner-of-the-Week and Rookie-of-the-Week during the campaign. When notified of his freshman harrier taking both of the league’s major awards, Fighting Tiger Head Coach Mitch Tomaszkiewicz spoke highly of his freshman harrier. The Fighting Tigers will next be in action on Saturday November 5th when they travel to the Eastern College Athletic Conference (ECAC) Division III Championships hosted by the association at the Hudson Valley Sports Dome Course in Milton, N.Y. beginning with the men’s race at 11:00 a.m. followed by the women’s race at 12:00 p.m.